Through its advertisements and testimonials, the Cash Printer claims that its members or users are able to get enough money and other benefits from working at home. Thanks to Travis, Cash Printer’s founder, they are now enjoying their dream job! Aside from these boastful claims, the company also implies that this easy way of earning money can give them as much as 6 figures in a little less than a month. There is no need for any technical experience. Though some say you can enjoy all of these for free, I beg to disagree. Some of the testimonies are fake too. Cash Printer does not really exist. Some of these people have been paid by the company. If you would try to check their website, you would readily see a video clip and a testimony from one of its users named Mike. He claims that this system or business has let him quit his daytime work. This is a paid advertisement. How did I know? Mike has done several other statements like this for various products before. He might be given a small amount of money for this false advertisement, but it is quite impossible for that to support all his daily needs. I run into several other testimonies coming from paid actors. I cannot blame Cash Printer from using them as the power behind this type of marketing technique is really impressive. Seeing one person succeed because of an easy product or service can really lure you to buy or try the service. Testimonies for Cash Printer are just really unreliable, misleading, and hard to believe. No other information about the company’s background is presented on their website. What do I mean when I say Cash Printer does not really exist? This means you are not getting it for free, as the video claims. Instead, you get Aspire Digital Altitude. Now, some of you may say that Digital Altitude is a legit company, as it has reliable positive and negative reviews. But if it teaches you to lure people in with phony presentations, then it could be misleading as well. It is not different from a scam too. The company’s CEO, Mack Zidan, was known to have a powerful web influence as a seasoned marketer. He was able to make lots of money. This may be true, but I really don’t think he is out to help you achieve the same. Mack also has other names like Mack Mills and Mack Millions. Why? Because he used to have a bad reputation online and he is trying to change his profile to avoid association of his name with the complaints filed against him. You can search his name on Google and you would know exactly what I am talking about. People are being told that this business can be started free of any charge. But in reality, you can spend as much as $20,000 once you become addicted to the concept of earning fast, easy, and big amounts of money. While Aspire is just the initial investment, Apex will eventually cost you about $20,000. Based on some references, Aspire members are required to get a certain package or tiers before they can start selling them to others. Even after paying for this package, you will just get a fraction of its sale. It may be a decent amount of cash so people think that they can really make this business a permanent career. 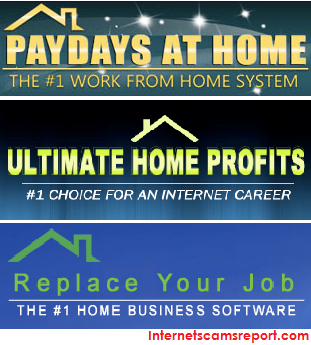 People who have earned through this online business have been doing this for quite a while now. They already have a huge email list and developed skills set over years. But in reality, you cannot expect the same results. Earning a consistent income online is really possible, but not as easy and fast as Cash Printer. Be diligent and make smart investments online. With the lack of information and paid testimonies, I can say that the Cash Printer is a risky business to join in. If Aspire Digital Altitude is teaching its people to trick others, then it is better to avoid it too. Look for other legitimate online businesses, where you do not need to own a product or service. Your talent or skill is more than enough capital to start a growing career online. Is Cash From Home A Scam? IS CLICK CLONE CASH A SCAM? – CASH CAN’T BE CLONED Is Cash For Invite A Scam? – Invitation To Nowhere Is Cash Finder System a Scam?